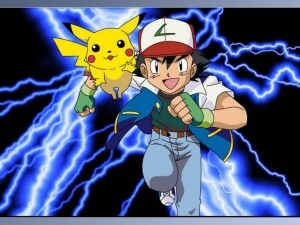 It might be sound strange & unbelievable,In 1997, 685 kids in Japan were rushed to hospitals after Pokemon episode caused dizziness, vomiting and seizures. “…Went into a trance-like state, similar to hypnosis, complaining of shortness of breath, nausea, and bad vision . . .” (Snyder 1997). “Towards the end of the program there was an explosion, and I had to close my eyes because of an enormous yellow light like a camera flash” (MSNBC 1997). Another 15 year old girl recalls “As I was watching blue and red lights flashing on the screen, I felt my body becoming tense. I do not remember what happened afterward”. After this tragic incident, TV Tokyo issued an official apology for the incident and suspended the Pokémon show. Thousands of mothers headed out to roads and protested against the TV channel’s policy and the whole crisis reached a point that the Prime Minster of Japan had to intervene. Later thorough research by experts concluded that the bright flashing lights caused Photosensitive Epilepsy (PSE) which caused nausea and other symptoms. Previous article A Japanese scientist created an unbelievable ringtone for women.